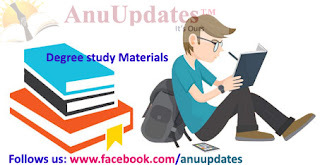 Acharya Nagarjuna University ANU information and communication technology-2 foundation course material, ict-2 model paper, ict-2 multiple choice questions are now available for download. As, we mentioned earlier, the question paper mode for ict-2 contains multiple choice questions. Here we are also providing some most important multiple choice questions for you along with material.